When life seems chaotic, unpredictable, and out of control, understanding how astrological events affect you personally and may help you understand and take back control of your life. Most people understand the basic sun signs of the zodiac, but astrology readings goes much deeper than character descriptions of large groups. An astrology reading by phone is a good beginning to understanding what forces may be influencing your life patterns. A personalized birth chart examines your specific circumstances, including day, time, and exact location of your birth. An experienced astrologer uses this information to study your overall characteristics, influences, and motivations. As the planets continue to revolve and you move around on the planet, other astrological influences can impact your life. Various techniques of astrology are used to offer continued guidance. Compatibility is important in all relationships, whether personal or professional. Communication is critical, and understanding others’ communication style can reduce misunderstandings. An astrology reading by phone can be helpful at all stages of a relationship. The zodiac signs are grouped into four elements: earth, air, fire, and water. Specifics of birth charts can help define compatibility at the start of a new relationship. If a relationship is having trouble, a phone astrology reading can help clarify the dynamics of the conflict and provide valuable insight into how each person processes and interprets information. Understanding these difference is a key building block of healthy, satisfying relationships. We all have those days when nothing seems to go right. Sometimes we have a bunch of those days in a row, while other days things just seem to flow. Then there are those days when everyone you know seems to have a similar random event disrupting their life, such as everyone losing their keys, or friend after friend has computers blow out, or an unusual number of acquaintances having car accidents. Could there be a pattern to this madness? Astrology is based on angles and alignments of planets at the time of your birth. As time goes by, these angles change in relationship to the pattern at birth. 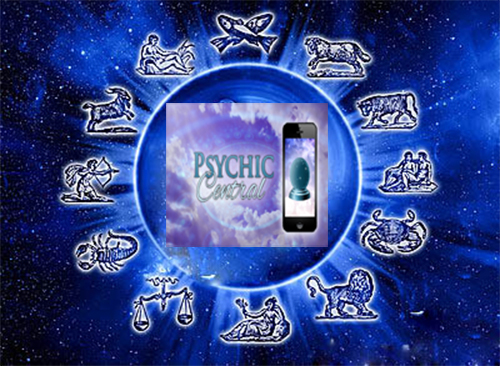 An astrology reading by phone can help you understand these changes, enabling you to prepare for astrological events. For example, a common astrological event is when Mercury goes retrograde. This is an optical illusion that makes Mercury appear to stop and move backwards. Mercury is the god of messages, so it is common to experience misunderstandings, have problems with texts, email, and other computer functions, and suffer multiple delays. Understanding how this event interacts with your personal chart can give you a deeper understanding of the forces influencing you and provide strategies to adapt. For instance, instead of exhausting yourself trying to prevent a delay, you could take the time to gain a new insight and possibly put projects on a different track. Whether you need insight into career possibilities, personal relationships, or a deeper understanding of yourself and what influences you, an astrological reading by phone can give you instant access to vital information that can help you in all areas of your life. Call for an astrological reading and get ready for your life to unfold in beautiful and unexpected ways.